Not many of our events inspire more than this one. None of our events we do mean more. And , none of them have made more of a difference in a child’s life than iBike Rosemont. This event has led to the actual first and completed buffered bike lane in the city of Dallas to date. Want to start an iBike program at your local elementary school? Reply to this post with your name and email address. Description: iBike Rosemont is a combined effort between Rosemont Elementary, parents, students and neighbors. The week consists of morning bike rides to school by parents and students. The riders get a card that is punched each day they ride their bike to school. 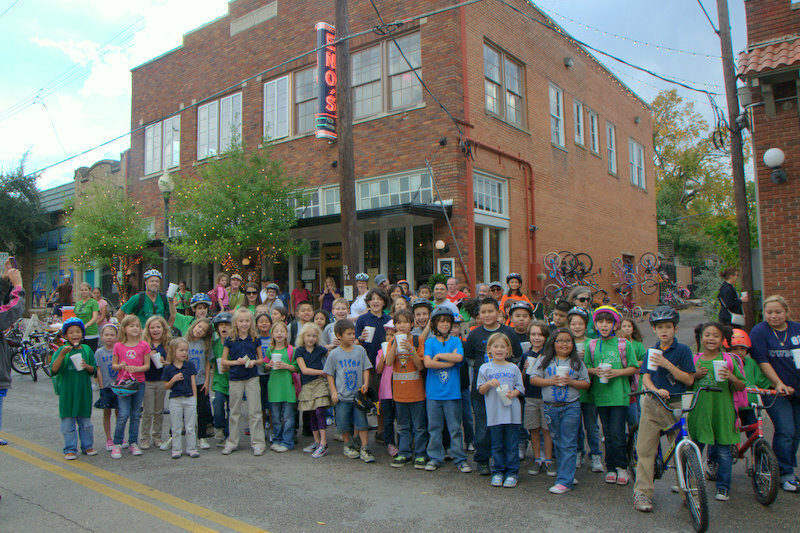 At the end of the week on Friday, the kids, their parents, volunteers and teachers participate in a group bike ride to Eno’s in the Bishop Arts District, where the kids turn their punch cards in for a free root beer float. 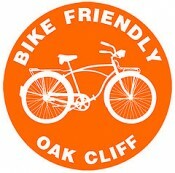 As one who bike commutes everyday into downtown Dallas from OC, I’d like to volunteer next week with this event. Whom should I need to contact?